Peltzer Farms in Temecula, CA has a fabulous set-up for Halloween. They have everything from a train ride around the property to flawless background setups as you can see in the picture above. Surprise! My knee brace! So not cute! Random update on knee: I went to the Orthopedic Surgeon yesterday and have since been put in a larger knee brace that I will have to stay in for 6-8 weeks while going to physical therapy. I LOVE medium/big floppy hats for the Fall & Winter! All pictures were taken with an iPhone 6 plus and have no filters on them. I'm on the hunt for the perfect blog camera so if you have any recommendations they would be greatly appreciated! Ok, good news- I'm still 100% committed to this challenge and I haven't slipped up diet wise at all! Hot sauce on everything has been saving my life, HAHA! Bad news- I have a knee injury (patellar tracking disorder) that has prevented me to do any type of leg workout for the last 3 days and I will have to continue to be off of it until it heals. It's unknown if this happened during this challenge or if it's something I injured before the challenge and the challenge workouts have just made it worse. I tried to work through it for a few days which was a big mistake as that made it much worse. If you follow me on snapchat (ErinGoerke) you've seen me trying to get this knee back as soon has humanly possible. I've been icing it, using a Marc Pro, hot/cold, ibuprofen, elevating it etc.. It has swelled up drastically and just started bruising today. BUT, I will continue to workout other body parts along with following my same diet, no excuses! It's a HUGE bummer but it could be worse! So far, the diet side of this challenge isn't that bad. Yes, it's tough seeing delicious food that's posted onto Instagram and all of my wonderful friends sending me their mouthwatering meals BUT it's tolerable. 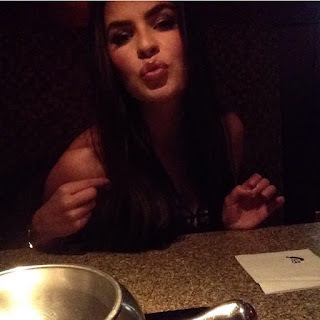 I never find myself getting that hungry. The workouts on the other hand are INTENSE. I've definitely been pushing myself harder than I ever have when it comes to training in our home gym. Right when I wake up in the morning I'm craving that good intense workout; my body is clearly loving this. As for soreness-woah. It's been difficult for me to get up and down the stairs throughout the day after my workouts. My arms and abs are also sore but Epsom Salt, stretching and rolling out on the foam roller help that a lot, along with proper protein intake. This fitness challenge has also been amazing for my sleep schedule. I'm SO beat by the end of the day causing me to sleep like a baby. Here are some of my current fall favorites. Arcona Toner Pads were a random -jackpot- discovery on Nordstrom during their anniversary sale. These pad smell absolutely delightful. They're so refreshing while leaving my skin feeling and looking amazing. I use these pads at all times of the day whether it's right after cleansing my face or as a simple feel good "wake me up" mid-day. Bath and Body Works fall candles are perfection! They make my entire house smell so yummy! My two current favorites are Leaves and Marshmallow Fireside. I purchased these recently during their 2 for 20 sale. Always check before you buy something from Bath and Body Works for coupons on sites such as retailmenot or even on their personal site. They are often having great sales! Giorgio Armani Luminous Silk Foundation is the love of my life. I've tried over and over to find a comparable and I have yet to succeed. It. Is. Stunning. It's so beautiful and natural looking, you can't go wrong. My personal shade is 5.25. If I have a spray tan on, I will use 5.5. Giorgio Armani Eyes to Kill mascara is my current favorite. I was wearing Dior Diorshow ever since high school before I discovered this (which is also amazing) and I will never look back! Chanel Soliel Tan de Chanel Bronze Universal is flawless it is the absolute most perfect bronzer I've ever come in contact with. 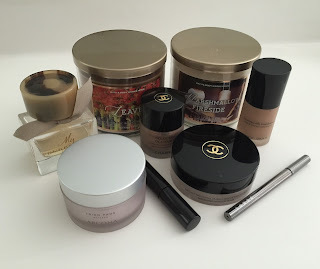 I still use Benefit Hoola on my neck but I use Chanel Bronze Universal for both contouring and bronzing. It's a staple in my beauty routine. Chanel Soliel Tan de Chanel Sheer Illuminating Fluid is everything you've been looking for if you want your face to have that perfect dewy glow. I am obsessed with this product. There are multiple ways to use the illuminating fluid but what I personally do is add it to my foundation on a beauty blender. LOVE. Lorac Front of the Line Pro has been a favorite of mine for years. It's the perfect everyday, easy to handle, black liquid eyeliner pen. How's everyone feeling today?! I'm excited to hit it hard! This morning I had a large glass of water (working towards my gallon), 4 egg whites covered in hot sauce, and a cup of coffee with cinnamon, liquid stevia, a splash of soy milk and MCT oil. Pre Workout- I use my coffee as my pre workout drink but if you have a pre workout drink you enjoy, substitute that. I also have a small glass of beet juice and a half of a banana. I always warm up on the spin bike for 10 minutes. Post Workout- I will have whey protein and another half of a banana. *I will be eating every 3 hours to keep my metabolism up and to feed those muscles! My next meal will be 3oz of ground turkey and a half of a cup of raw broccoli. I like to mix it all in a bowl and throw some hot sauce over it. Condiments- The only condiments I will be using throughout this challenge will be hot sauce, red wine vinegar, balsamic vinegar and Mrs. Dash. Three hours later I will have another scoop of whey protein with a half of an apple. Three hours after that I will white fish with 3oz of sweet potato and a half a cup of greens. Three hours later I will have 4oz of salmon, 1 cup of green veggies and a half of an avocado. Now, meal 6 is optional and something I will not do every day. If I find myself hungry before bed I will take 1 scoop of Casein Protein in 4oz of water to fill my tummy while I get my nights sleep. Cardio- My personal goal is to do 45 minutes of cardio everyday for at least 5 days a week. Sometimes I will do a fasting cardio in the morning before breakfast as well. It all depends on how much fat one intends on losing in regards to how much cardio they need to do. Whew! I totally feel for these fitness competitors! 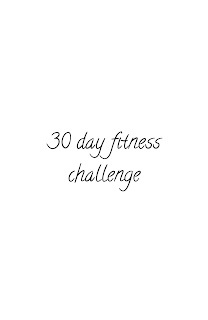 I'm going to list some tips and suggestions that may help before starting the 30 day challenge. If you're a busy person- meal prep. It may determine success vs. failure in this challenge. I will be eating 5-6 times a day. Note: there are NO CHEAT MEALS within these 30 days! I know it's rough but i'm sticking to it! My meals will consist of oats, egg whites, white fish, chicken, ground turkey, ground beef, green veggies, apples, brown rice, sweet potatoes, avocados and almonds. Find things to keep you busy and occupied during your downtime. If you like to read, have your books ready. If you like NetFlix, pick out your shows tonight. If you enjoy outside activities, have a list of things and places jotted down so you never get bored and find yourself in the pantry -HAHA! Get your vitamins and supplements ready tonight. I will also be having whey protein and casein protein. I will be having a gallon of water per day- 128oz, so have your preferred container ready to keep track of your water intake. I highly recommend using a heart rate monitor while training. I use Polar which I purchased on Amazon. There are all different types for your personal needs so make sure to do your research. Music! Have your best playlist made and ready to get to work! Music is amazing for all different moods and situations so have it all ready! And last but not least, a notebook. I love to write everything down so that I never take too much or too little of anything. If you have anything that you would like to share in the comments for everyone following this contest that would be awesome! 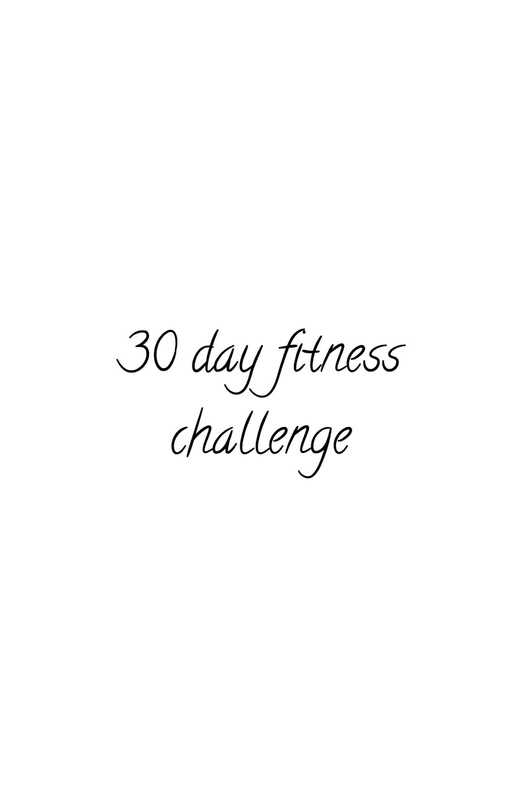 I'm participating in a 30 day fitness challenge (starting Thursday, October 15th) and i'm going to be blogging it all for you to follow ;). I would LOVE for you guys to participate! So much of this challenge will be mental so encouragement and motivation is going to be huge! Let's do this together! Who's with me?! My fiancé's doctor/nutritional trainer came over to visit after Matt's surgery a few days ago and recommend these three books for me to read regarding the diet Matt and I should both follow. Note: I say both because i'm participating in a 30 days challenge in 5 days (i'm going to dedicated my whole next post to this challenge) and I asked him for some advice ;). I figured I would come on here and share this information with anyone who may be interested in checking out these books! He recommended them for healing (my fiancé's injury) and all around health when he returns to racing. As you can see from the picture, these books all follow a low carb diet. I'm SO thankful and grateful for the amount of love i've already received about being back on here! I spent some time last night jotting down upcoming blog posts that i'm going to do and i'm so, so excited! I just wanted to come on here one last time before we get back into all of the fun stuff and dedicate a complete post to you guys to let you all know that i'm truly thankful for your views, comments and emails! You're the reason I'm here!! Last year when I got my, "renew domain" emails I started to freak out because I couldn't figure out how to renew it following the given links! I had multiple people try it to see if I was missing something and no luck! One day, I kid you not, I sat on hold with Google's customer care phone line for over 4 hours (on speaker phone throughout the house so I could still get other stuff done)- no answer! I was SO upset because I was obviously extremely dedicated to this blog. I tried and tried again different ways to contact google (email, other phone numbers) but I had no luck. I was SO upset that I had devoted so much time here and lost it all. I took it as a sign that maybe I should focus back on my fiancé and his career and let it go. I deleted everything on my Instagram as well and lost touch with all of these amazing people I met while on here. I'm SO SO SOOO sorry for that!! He unfortunately got injured again in Paris, France a couple of weeks ago and I've been trying to think of things I can do while I'm nursing him back to health and tonight I was like ugh I wish SO bad I still had my blog! Not only for when he's injured, but as you can see from my previous posts I enjoyed it so much I kept at it when we got back to the races! So tonight, while watching a movie with him I said, "I'm going to start a blog again, who cares if I have to start from scratch!" So I went to purchase my same domain, connected to my same blog email and BAM! HERE I AM!!!! & here is a picture I took with my iPhone at the bottom!! BREATHTAKING!! Even with the injury he sustained while in France, we were lucky enough to still have this amazing experience that will forever be with us. I've missed connecting with you all SO MUCH & I'm SO excited to be back!! I don't think too much has changed on my side since I've been gone so my post will probably remain pretty similar to my previous ones. I'm still keep on my healthy lifestyle while being obsessed with fashion and makeup! I STILL CAN'T BELIEVE THIS!!! LOL! LET'S DO THIS! !